Comparisons between Einstein and Tesla aren't all that frequent, although it bears noting that the two actually have a lot in common. Ignoring for a while the fact that Tesla achieved far less fame than his wild haired sometime-counterpart, the two have managed to change the world of the better in numerous ways, as you will see in this comparison article. Albert Einstein was born on March 14, 1879, and he is one of the most respected figures in scientific history. A theoretical physicist, philosopher and author, Einstein was born to German and Swiss parents, although he would later seek and obtain U.S. citizenship. Einstein was the recipient of the 1921 Nobel Prize in Physics for his work dealing with Theoretical Physics, and for his efforts in the discovery of the laws of the photoelectric effect. Nikola Tesla was born on July 10, 1856 and achieved a degree of renown as an inventor and a mechanical and electrical engineer. 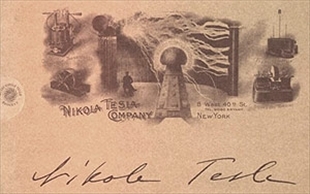 Tesla’s work was instrumental in the development of commercial electricity, and he also achieved recognition for his work in electromagnetism during the latter part of the 19th century and the early part of the 20th century. In fact, much of Tesla's work laid the groundwork for the modern alternating current or AC power that we now use today. Tesla was also largely instrumental in the advancement of the Second Industrial Revolution. During his lifetime, Einstein published well over 300 scientific journals, along with a large body of non-scientific works. He has received numerous science, medicine and philosophy degrees from European and American universities, and he also published several written works on philosophy and politics. Tesla for his part worked extensively on the study of electromagnetism and electromechanical engineering, and much of his work was instrumental in the advancement of robotics, remote control systems, radar, and computer science. Tesla has also contributed in some part to the fields of ballistics, nuclear physics and theoretical physics. Einstein was actually the one who alerted then U.S. president Franklin D. Roosevelt to the German atomic threat in 1939, when the country was right on the cusp of World War II. Einstein then convinced Roosevelt to stockpile uranium and to embark on nuclear research. Einstein was in effect largely responsible for policies that would lead to the development of the Manhattan Project, and subsequently, for the U.S. role as the first and only country in the world with nuclear capability during World War II. Although not as recognizable as Einstein, Tesla does have some acclaim of his own, and he has in fact been depicted numerous times in books, films, radio, TV, and even music. Curiously, he was interested in developing UFO type aircraft and in communicating with interplanetary beings. Which scientific mind is more popular in science classes today? It's a mistake to compare them becasue they had two different aproachs to cience. Tesla was a creator a genius, on his work our modern technology was developed, with out Tesla this modern world we live in would be unthinkable. 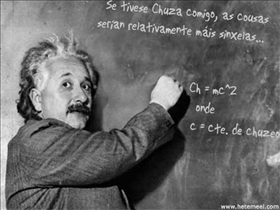 Einstein on the other side created nothing, he was a dreamer, a big talker, an expert in "Theoretical" Physics. We can compare him with Hawking but never with a creator like Tesla. On the other hand Tesla can be compared with Da vinci in example. Agree with Da Vinci comparison with Tesla. Tesla is the smartest man to ever walk on this planet. He spoke 6 languages. Crazy.